A lot of things that people love tend to be green. It's the color of fresh cut grass, trees in the springtime, money, and mint chocolate ice cream. We're sure there are probably more green things out there than that, but for the purposes of this exercise we don't need to go any further. One thing that gets overlooked though is green makeup. It comes in handy more often than you might think! What would you do if you had to throw together an emergency alien disguise and all you have is rouge and concealer?? Now you never have to worry about finding yourself without Professional Green Cream Makeup! 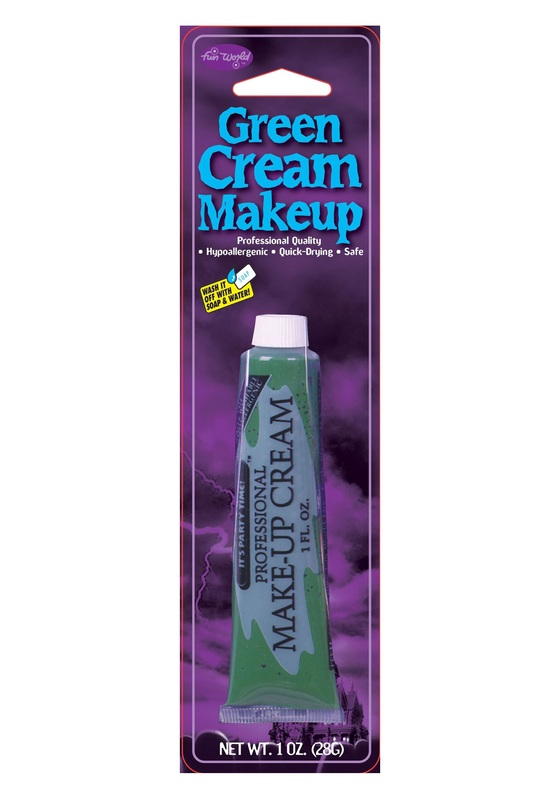 This makeup is just what the pros use when someone needs to be transformed into a green zombie or a witch. It's gentle on your skin, and washes off with soapy water, so you don't need to stay green any longer than you have to!